"Tactical" power switch? That's a new one on me. Tactile? I find it hard to believe that either of those terms applies to a toggle switch though. The latter might apply to the Reset switch though (if it is tactile). 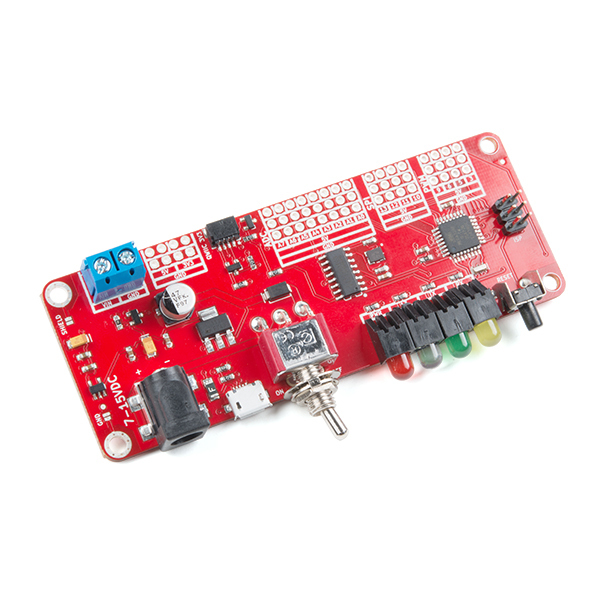 I cannot get the board even to be seen by Arduino IDE. Not sure if my board is defective...I can use the same cable and version to talk to STEM. So so a bit frustrated by this board. This is a great board! I particularly like the 3-contact "SVG"-style ports - installing female headers allows plug-and-play with Vex robotics sensors/devices. And the Qwiic port is great for all my I2C devices. A few minor suggestions for future revisions: (1) add a pin-1 indicator to the 2x3 ISP header. (2) Figure out a way to get pads for the missing I/O ports, even if they can't follow the SVG header layout exactly. (3) Add a pad and cuttable-trace-jumper to each of the LEDs and the reset switch, so they can be repurposed if desired. 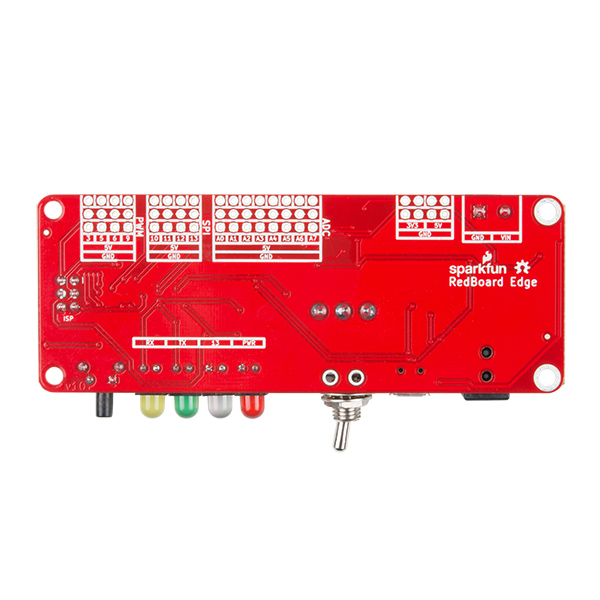 (4) Add a 3rd contact to J1 wired to un-switched VIN - allows power from the back but still switchable, and the existing switched-VIN terminal lets the board power other off-board devices. Is there a panel file that gives dimensions? There is a zipped folder in the documents tab that should have the files you need. The link is called "Panel Mounting Files." Hopefully, this helps! This little board could be even more awesome if the MC switch could be jumpered to an Input rather than Reset. e.g. Short presses could cycle the LEDs thru up to 16 different Modes, and a Long press could select that Mode. 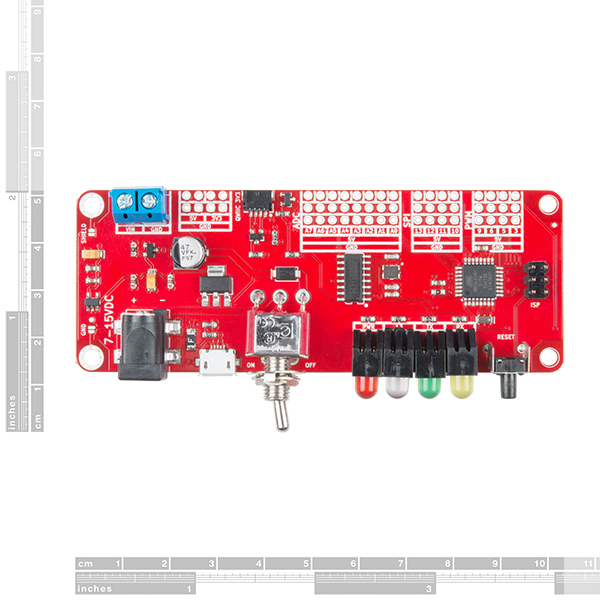 This board would be even more useful if the LED's could be connected to any GPIO. The guide should be working now, sorry about that! You can find the Schematics, KiCad files, and more in the Documents Tab under the "Add to Cart" button. Hope this helps! Shoot, sorry about that! It looks like we noticed something wrong with it before it went live. It should hopefully be working soon! This product is ideal for verifying the software application of new devices for my robot development. It is helpful to isolate disappointments in designs to smaller code; albeit isolated; apart from the target application. 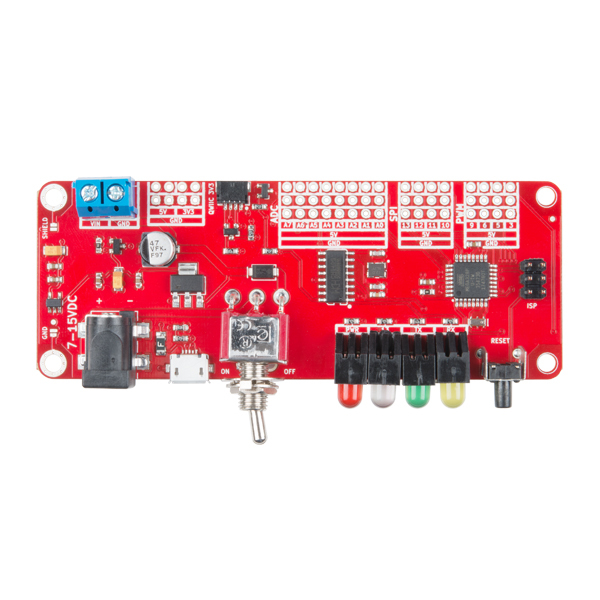 This product encourages the exploration into applying IR sensors, gyros, accelerometer devices into more complex applications. Great Board - now make it better.